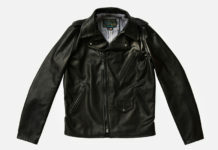 The classic leather Moto jacket has been popular for decades and has changed very little over the years. 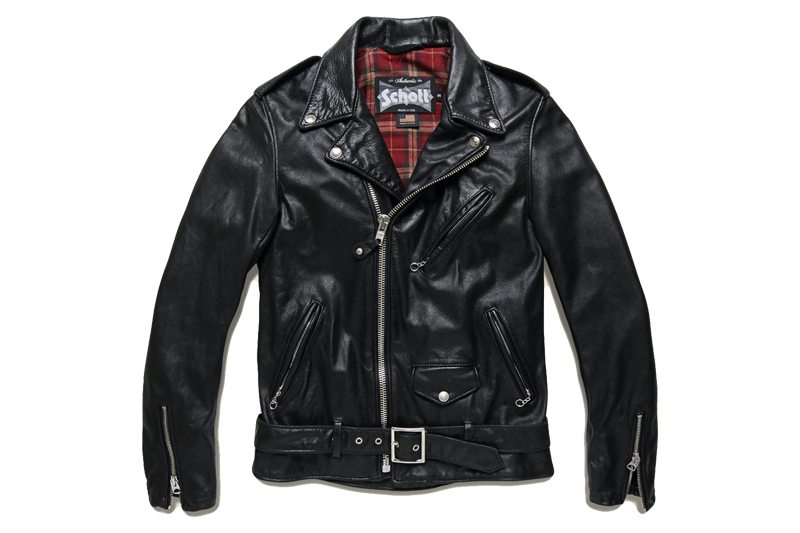 However, few brands execute the jacket quite like Schott who always seem to go the extra mile. This particular version features lightweight cowhide leather that has been chrome tanned and drum dyed. Other details include custom embossed snap faces, durable nickel platted brass hardware, leather-trimmed inside chest pockets, bi-swing back panels for extra range of motion and three outside zippered pockets plus a small coin flap pocket. Grab the jacket today by clicking here.